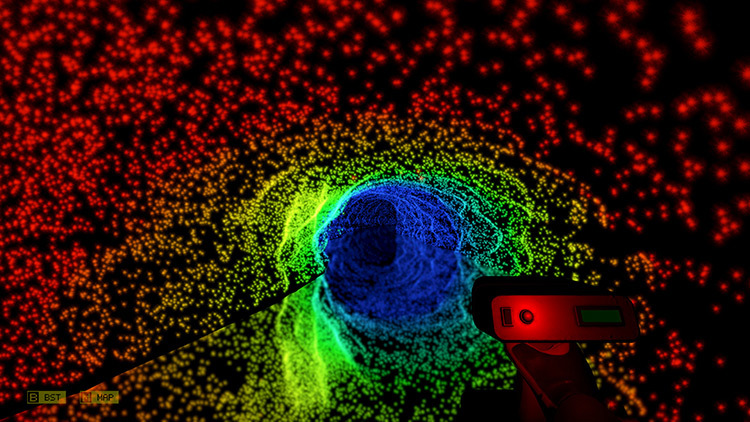 Scanner Sombre is a gimmick game, and I honestly say that without any ill intent. Its gimmick is beautiful and engaging and kind of amazing. To its credit, Scanner Sombre is seemingly aware of the limitations of this because it's brief enough to not wear out its welcome. However, the kaleidoscopic interior decorating is a means to an end, and that end just isn't as thrilling as what's in the mind's eye. 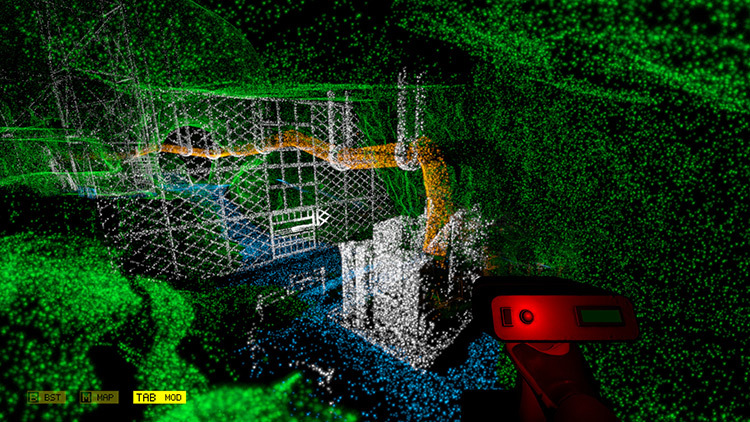 Perhaps what’s most impressive to me is how effectively lean Scanner Sombre is. The entire game is only three hours. 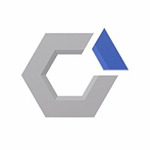 Mechanically speaking there isn’t much you do outside of using the scanner to solve puzzles, find your way, and outwit foes. However, the foreboding atmosphere and where its plot ultimately leads is satisfying enough that its gameplay and storytelling are compelling. Painting the darkness with dots is tense and captivating, pitting my curiosity against fear, rewarding me with beautiful scenes that half exist only in my head. By withholding information, Scanner Sombre let me fill in the gaps myself, making the experience feel larger than its short playtime would make it seem. 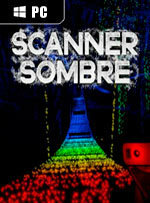 Scanner Sombre is an excellently unique adventure, that builds layer upon layer or intrigue and trepidation as you inch towards the surface. About halfway through, Introversion telegraphs the ending, and if there’s any real fault to this palate cleanser it’s that you wind up able to guess how the game will conclude before you actually get there – a cardinal sin for a one-time-through story. 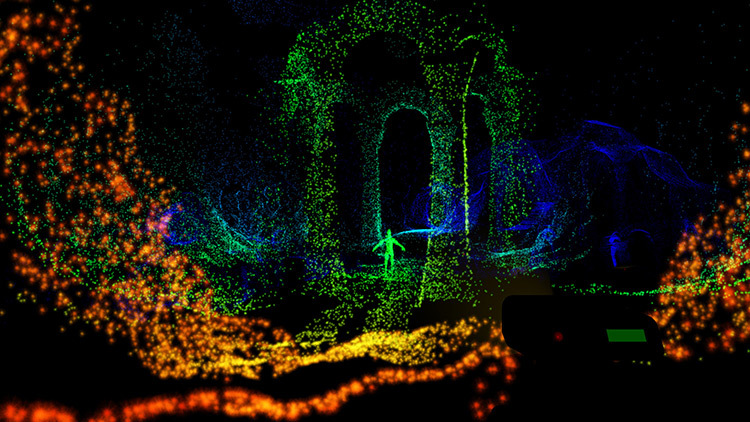 Sadly, Scanner Sombre never really attains the heights of Dear Esther and Gone Home, two games that Introversion site as inspirations. 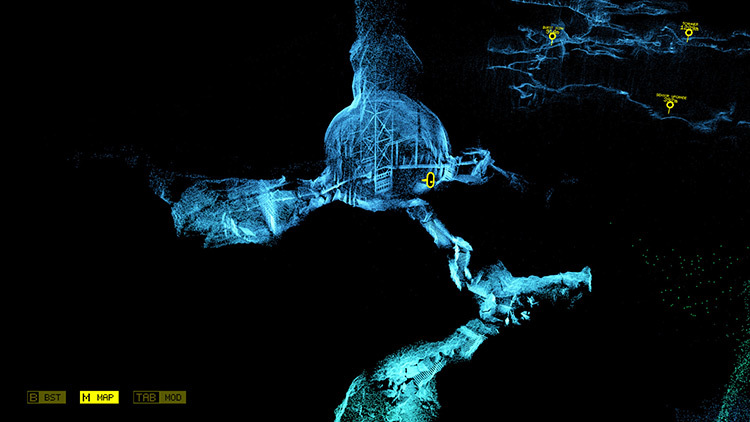 If you have an interest in that genre, it’s still very much worth exploring the cavernous depths of Scanner Sombre, but more than its fellows, this is a striking idea that searches for a game and a story to make the most of it. Ach, Introversion: Das war nix! 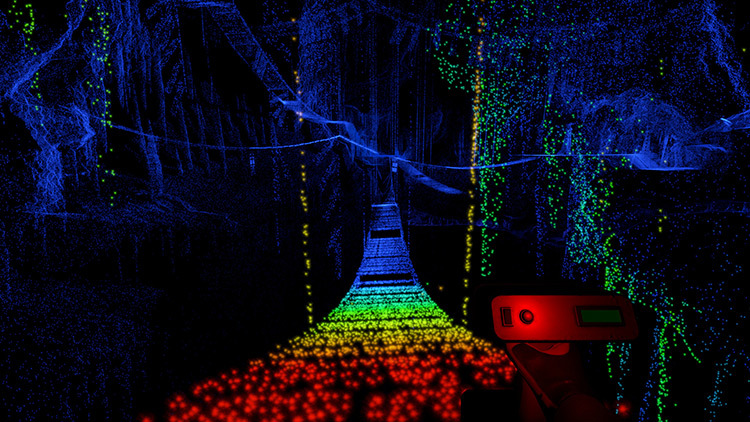 Es tut mir wirklich leid, das zu schreiben, aber Scanner Sombre ist ein ziemlich plumpes Hinterherlaufen in den Fußspuren von Dear Esther – nachdem andere Spiele links und rechts des ausgetretenen Weges längst markantere, spielerisch inzwischen unverzichtbare Abdrücke hinterlassen haben.